Imagine learning the art techniques that will allow you to connect with your world. The techniques that help you to be fully present in your day to day life. This is a gift to yourself. Learning how to slow down and see…really see…is one of the greatest lessons to learn and Lorraine Bell will guide you through her process and help you capture the world around YOU. Many of you know Lorraine as one of the team members of “The Documented Life Project.” That’s right, the O R I G I N A L planner group that started the ground-swelling trend of using planners for art and documenting and brought together thousands to create together. 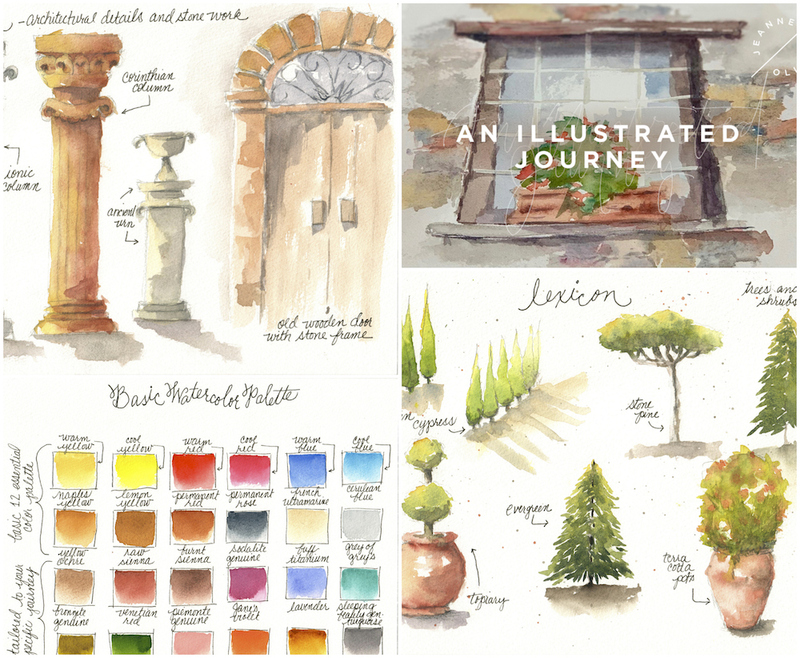 Early Registration ends tomorrow, Sunday, April 14th for An Illustrated Journey | Travels with My Sketchbook with Lorraine Bell. Early Registration is $38 and will go to the full price of $52 on April 14th at 10 pm MST. The course will go live on Friday, May 24th. The course is 5.5+ Hours of Content. Come and read all about it. I have long had a wanderer’s heart and nomadic soul. I yearn for parts unknown and when I am not traveling, I am usually busy planning my next adventure. For me, the preparation and anticipation is as much fun as the journey itself! 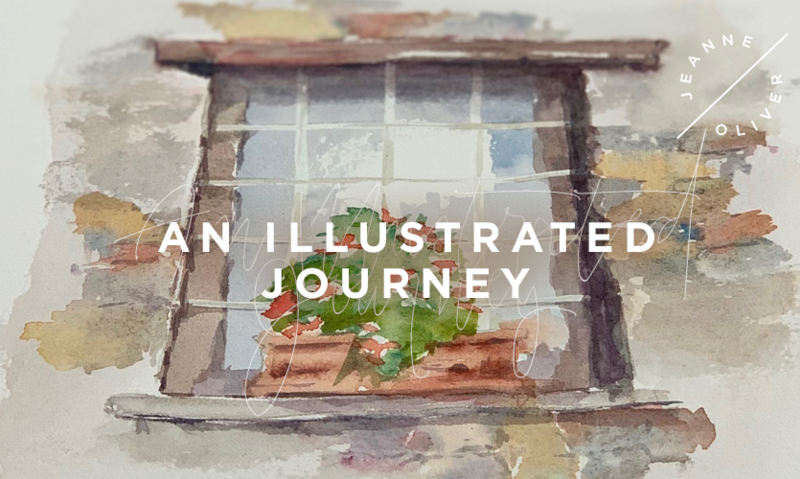 Over the years and through many parts of the world, I learned to document my travels in sketchbooks bursting with illustrations, journaling, maps, and memorabilia. Each book tells the story of a grand adventure through glimpses into what I was seeing, thinking, feeling and doing. These books are road maps of my life and hold treasures that a camera simply can’t capture. Travel with me as I recreate a recent trip through the Italian countryside where I will show you my entire journey starting before my feet even leave the ground. I will guide you through gathering only the bare essentials and help you pack your artist’s bag so that you can be unencumbered and move freely on your trip. We will explore various color palettes and create one that is customized to you and your art journey. We will build a lexicon of images to prepare us for ‘art on the run’ and free us from the constraints of making “perfect” art. I will teach you to sketch by breaking down complicated images into smaller bites and then show you how to paint them with watercolor. We will also create our very own full page spread of what a day in Italy might look like. Using all of the techniques and tools in this course, you will be able to apply all that you learn for your own adventures. Not traveling any time soon? No worries. Use what I teach you to make sketching and documenting a part of your everyday routine.